July 19, 2016 July 17, 2016 Amanda B. It is important to keep revisiting math concepts throughout the school year. You don’t have to re-teach the whole unit, but reviewing it will help students become more comfortable and help them retain the information. This new math pack is a great year-long unit that you can keep using with your class. These are great worksheets to use throughout the year. Use them with your kindergarten class as a whole group exercise, small group activity or for assessment purposes. 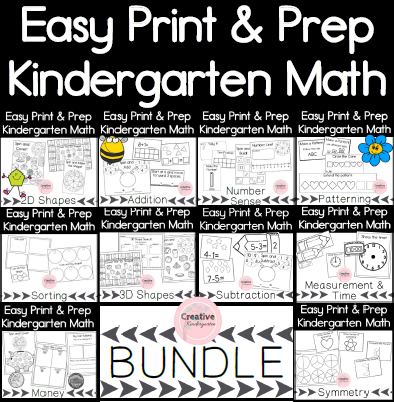 I will be adding these to their math workbooks! Each of these sheets can be used as a great introduction to the different ways to solve addition problems or to review and revisit addition!